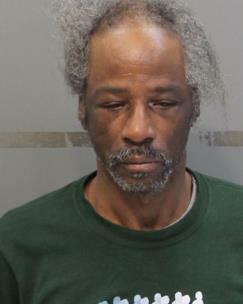 Police have charged Thomas White Jr. in the burglary of a vacant house on E. 26th Street. The owner of the house said he had moved recently to East Ridge to stay with his daughter, who recently passed away. He said there was a break-in sometime between Jan. 16 and Jan. 23. Two fireplace mantels had been pulled off the walls. Also missing were two tool boxes with tools, two antique doors, several pieces of antique furniture, a dryer, a lawn mower and clothes. The value of the stolen items was put at $5,000. There was extensive damage done due to ripping the mantles out. That was estimated at $2,000. The victim on Jan. 25 spotted some of his stolen property, including the mantels, doors, two dressers, a cabinet and a small table at The Refindery on McCallie Avenue. The owner said she had just purchased the items from a deaf black male driving a gray Toyota Camry. She picked White out of a photo lineup as the man who sold her the items. White has an extensive criminal record for driving and burglary offenses dating back to 1993. He was sentenced in 2010 to eight years for aggravated burglary.